Zenport Shears H357F Straight Comfi-Grip Grape Harvest Shear, Relief Grooved Stainless Blade. Each blade features relief grooves to easily evacuate any build-up that would otherwise cause the blade to stick. 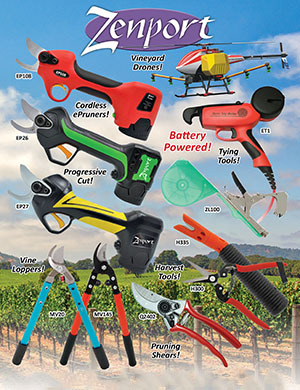 This shear is very popular with table grape harvesting contractors for the comfortable grip, quick-action and easy lock. Same size as the H300SC. Curved blade for safe, efficient fruit harvest. Lightweight compared to conventional harvest shears.